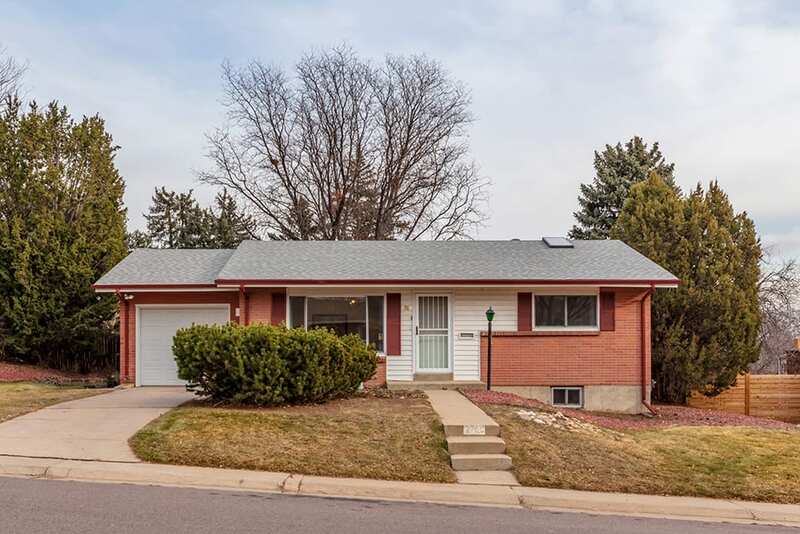 Updated and move-in ready ranch in Harvey Park South! This lovely three bedroom, two bath home presents fresh interior paint, beautifully refinished hardwood floors, plush new carpet in the basement and a newly revitalized kitchen and main-floor bathroom. The inviting living room boasts a cozy gas-burning stove, plentiful natural light and maintains effortless flow into the dining room. At the heart of the home, the spacious kitchen is highlighted by abundant cabinet space, new countertops, attractive tile backsplash, new tile flooring and direct access to the large covered patio and yard: perfect for entertaining! Two bedrooms and an updated hall bathroom can also be found on the main level. Retreat to the finished basement with an expansive recreation room, one non-conforming bedroom, a multipurpose storage room and a three-quarter bath. Rest easy with a new water heater. Ample opportunity for outdoor enjoyment on a vast quarter-acre lot. Great central location with easy access to Downtown Denver, the Denver Tech Center, Red Rocks Amphitheatre and several major routes!